Travertine tile installation is not as tough as marble or granite is, however, travertine is extremely durable. It is worth noting that the exterior of the famous Colosseum in Rome comprises travertine stone. 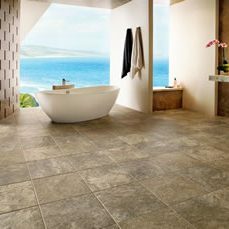 Therefore, you can rest assured that your travertine tiles will last for years. You might have come across workers engaged in stacking stone or stone cladding. Consider asking these workers about the stone that is easiest to cut and shape. They would readily agree that they could cut and shape travertine tiles easily enough. 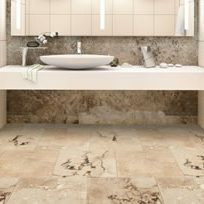 Therefore, if you require travertine tile installation to fill small or odd-shaped spaces, this will not be difficult to accomplish.